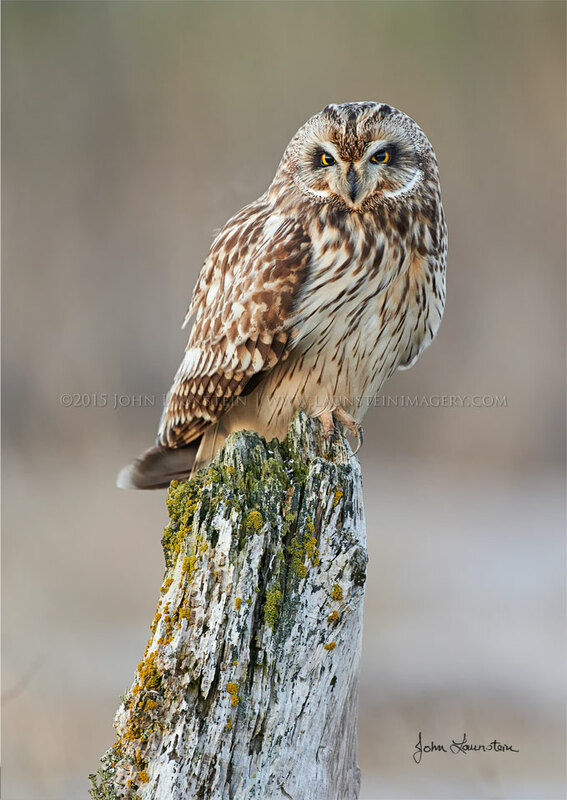 John, Jenaya and Josiah were photographing owls on the coastline of British Columbia when they spotted this Short-Eared Owl hunting the salt marshes. It swooped and dove all around in its hunt for voles before eventually perching on a weathered old stump just beside them. As the sunset faded to dusk, the owl gave one last look in their direction before returning to its hunt. Please note: this is a wild owl that was not baited, called, lured-in or manipulated in any way.